The 'Burgh is experiencing a craft beer boom and a return to distilling after a several-decade hiatus following Prohibition. There are even a brave few making wine that doesn’t taste like lackluster grape juice. While we'd never discourage you from drinking a good pint or cold glass at a bar, sometimes it's just worth it to go straight to the source. Try these eight breweries, distilleries, and wineries for a more in-depth experience while you wet your whistle. Then do some learning, tasting… and yoga?! 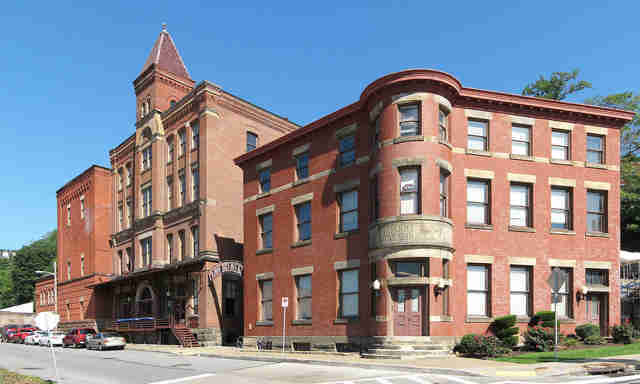 Penn Brewery is an iconic Pittsburgh brewery. With a claim of brewing craft beers since the '80s (way before it was cool), it is the oldest operating brewery in town. The facility is renowned for its annual Oktoberfest where you can drink German-inspired brews and slam kielbasa. Tours are offered on select Saturdays and include a full pint of beer and a growler to go. 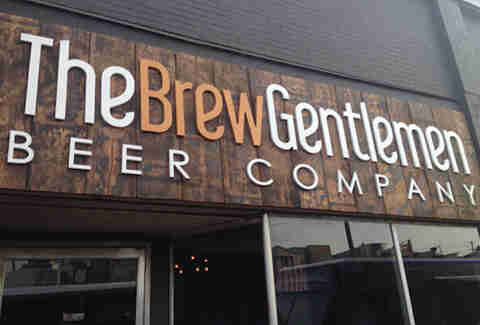 Brew Gentlemen burst onto the craft beer scene two years ago, and the brewery has built quite the following with its craft concoctions like the General Braddock's IPA and the seasonal and insanely good Mexican Coffee oatmeal stout. The monthly food truck round-up outside of the space is a must for those of us who cannot live without meats made in the back of a vehicle. But, the real star event is the Beer + Yoga series. For $5, you can stretch and vinyasa in the taproom before receiving your workout-reward of a taster. Namaste, indeed. 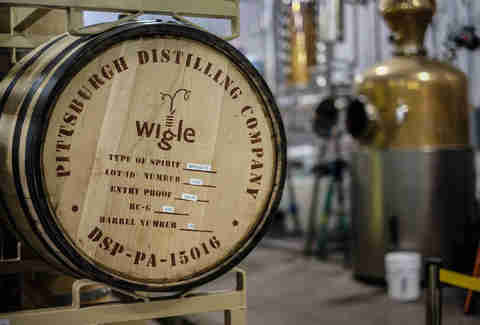 For the most fun distillery tour in Pittsburgh (perhaps anywhere), check out Wigle Whiskey. It’s a family operation with the namesake of the man who helped to bring about the Whiskey Rebellion in the late 1700s, Phillip Wigle. Wigle distills rye and wheat whiskeys, a Dutch-style ginever, and a rum of locally sourced ingredients. You can tour the distillery in the Strip District or the Barrelhouse on the Northside. Either way, you will get a rousing history of whiskey by the distillery’s killer staff, a cocktail to kick things off, and a tasting to end your experience. 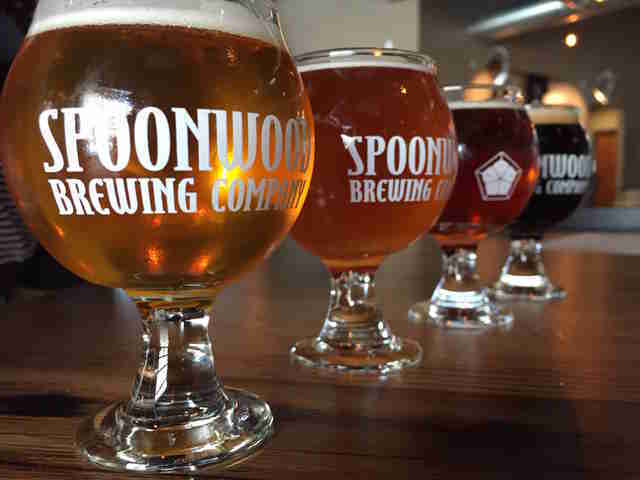 Spoonwood Brewing is a bit of a drive from Pittsburgh. Don’t let it’s location in the dreaded, constantly under-construction roads of the South Hills deter you from enjoying the wondrous beers on tap here. The place is large to accommodate the many beers on tap. You can organize a tour for you and your friends by contacting the general manager. 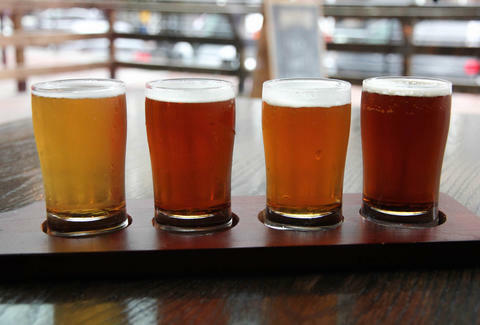 Then try some samples like the Killer Diller IPA or the Working Class Hero cream ale. You can’t go wrong with any selection if you pair it with the pretzels and beer cheese dip. East End was the city’s first micro-brewery, making a name for itself with the hoppy masterpiece, Big Hop. The brewery has experienced a good amount of growth since its early beginnings in 2004 and has a host of buzz-worthy events. 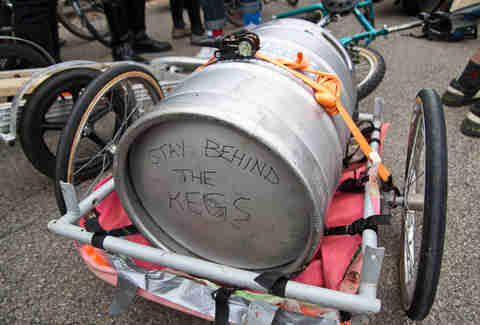 Hop on a bike and literally follow a keg on for the brewery’s annual keg ride to kick off spring, enjoy crafts and drafts with local artists and seasonal tastings, or take a Grains-to-Grass tour. For $25 you receive four beer samples, a guided tour of the facility, and a growler to go. Rivertowne’s cans feature a fish holding a beer, because, well, that's incredible. The brewery is in Export and tours happen every Saturday. The Rivertowne folks will get technical and drop some knowledge about the brewing process and what it takes to craft their full-flavored cans like the Always a Home Game golden lager or the Grateful White Belgian wit. You’ll also get some samples and a full pint as part of the package. This clever winery makes the booze list because quite frankly the wine is good, and the wine cellar is the coolest. Sharing a space with The Clemente Museum, harboring some memorabilia of famed and beloved Pittsburgh Pirate Roberto Clemente, the winery is in the basement of an old engine house fire station where a team of volunteers press the grapes in wooden barrels. You can schedule a tour and tasting by emailing the winery. Expect lots of rich, red wines from malbec to cabernet. 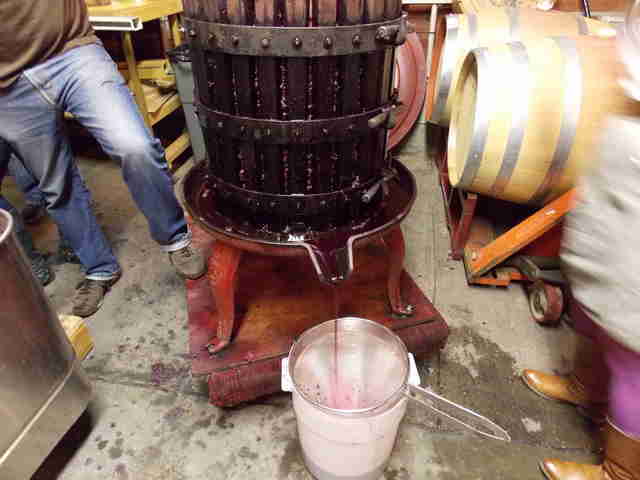 If owner and photography Duane Rieder is on hand, you can also expect good stories and might get to see the grape press in action. Full Pint is another brewery that is not in the confines of the Pittsburgh city limits. Apparently for beer tours in the ‘Burgh, you have to leave. You can request a tour by reaching out to the guys in charge here, a group that has been brewing since 2009, with their classics like White Lightning, a Belgian-style white ale with notes of citrus and seasonal crafts like the Pittsburgh Dad's 3-2-1 Win. Laura Zorch prefers ciders to beers. Don’t tell anyone. Follow her sometimes-beer-drinking ways at @eatpgh.